For the 841 battle of the same name, see Battle of Fontenoy (841). 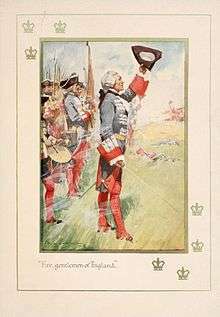 The Battle of Fontenoy, 11 May 1745, was a major engagement of the War of the Austrian Succession, fought between the forces of the Pragmatic Allies – comprising mainly Dutch, British, and Hanoverian troops under the command of the Duke of Cumberland – and a French army under Maurice de Saxe, commander of King Louis XV's forces in the Low Countries. 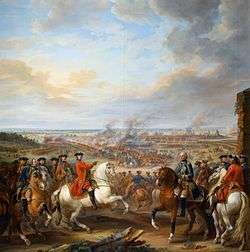 The battle was one of the most important in the war and considered the masterpiece of Saxe, serving France; Louis XV, and his son, the Dauphin, were present at the battle. Saxe went on the offensive in April 1745 with a large French army, looking to build on the previous year's gains. His initial aim was to take control of the upper Scheldt basin and thereby gain access to the heart of the Austrian Netherlands. To these ends, he first besieged the fortress of Tournai, protecting the siege with his main force about 5 miles (~9 km) southeast of the town. In order to relieve Tournai, the allies first decided to attack Saxe's position – a naturally strong feature, hinged on the village of Fontenoy and further strengthened by defensive works. After failing to make progress on the flanks – the Dutch on the left, Brigadier Ingolsby's brigade on the right – Cumberland decided to smash his way through the centre without securing the flanks of his main attack. Despite devastating flanking fire the allied column, made up of British and Hanoverian infantry, burst through the French lines to the point of victory. Only when Saxe concentrated all available infantry, cavalry, and artillery was the column forced to yield. The allies retreated in good order, conducting a fighting withdrawal. The battle had shown, however, the strength of a defensive force relying on firepower and a strong reserve. Casualties were high on both sides, but the French had gained the field, and Tournai fell shortly after the battle. This success was followed by a rapid advance against the less organised and outnumbered allied army: Ghent, Oudenarde, Bruges, and Dendermonde soon fell to French forces. The British army's withdrawal to England to deal with the Jacobite Rising facilitated the French capture of the strategically important ports of Ostend and Nieuwpoort, threatening Britain's links to the Low Countries. By the year's end, the Saxon-born Saxe had completed the conquest of much of the Austrian Netherlands, and with his successes he became a national hero in his adopted country. The battle had established French superiority in force and high command. In 1744, France went over to the offensive in the Low Countries. King Louis XV and the Duke of Noailles scored early successes with the capture of the frontier fortresses of western Flanders: Menin, Ypres, and Knocke fell in June, while Furnes was taken in July. The whole southern sector of maritime Flanders was soon in French hands, but the strategic situation abruptly changed when Prince Charles of Lorraine led 70,000 imperial troops across the Rhine and into Alsace. 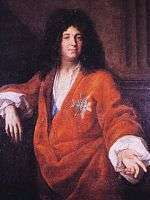 To counter this threat, Louis XV and Noailles led a large number of reinforcements south, while Maurice de Saxe, illegitimate son of Augustus II the Strong and, since March, a Marshal of France, was left in charge in Flanders with a reduced army of between 50,000 and 60,000 men facing an allied army of 96,000. Opposing Saxe was the Pragmatic Army, the bulk of which was made up of British and Hanoverian troops under General George Wade, and Dutch troops under Prince Maurice of Nassau. Much had been expected of the allies in 1744 but the timidity of their generals had produced nothing against a numerically inferior enemy. Although Wade eventually advanced towards Lille, he did little more than bicker with the Austrians about the cost of moving his siege train from Antwerp. Saxe was able to maintain his position at Courtrai and along the lines of the Lys, and remained relatively untroubled throughout. In part, the risible results of the allied campaign in the Low Countries had led to the fall of the Carteret government in Britain, leading to a new administration led by Henry Pelham and his brother, the Duke of Newcastle. Elsewhere, the Pragmatic Allies had scored considerable success in late 1744. A joint Austro-Saxon force under Charles of Lorraine and Count Traun drove Frederick II's Prussian army from Bohemia; and Piedmont-Sardinia had expelled the Bourbons from northern Italy. Further success followed with the death in January 1745 of the French puppet emperor, Charles VII. When his successor, Maximilian III Joseph, hesitated over peace proposals, the Austrians launched a rapid campaign, culminating in April with the Franco-Bavarian defeat at the decisive Battle of Pfaffenhofen. Joseph sued for peace and gave his support for the candidacy of Maria Theresa's husband, Francis Stephen, in the coming imperial election for the vacant throne. With Bavaria out of the war the Austrians could now try to win back Silesia from Frederick II. Likewise, Bavarian repudiation of its French ties meant France was freed of its German involvement, and could now concentrate on its own military efforts in Italy and the Low Countries. As early as December 1744, Saxe had prepared plans for a spring offensive in the Low Countries. He had made up his mind not only as to what he would do, but what he would compel his enemy to do, correctly calculating the operational and political difficulties that such a diverse opponent would face. This opponent comprised Britain, the Dutch Republic, Austria, and Saxony, who had concluded the defensive Treaty of Warsaw in January 1745 – the Quadruple Alliance – by which all contractants committed themselves to uphold the Pragmatic Sanction and the House of Austria's claim to the imperial crown. To the Low Countries, the British sent the son of King George II, the 24-year-old Duke of Cumberland, as the new captain general of Britain's army, while Maria Theresa sent the experienced Count Königsegg to command Austrian forces. The trio of generals was completed by Prince Waldeck, commander of the Dutch contingent in theatre. They hoped to gain the initiative by the establishment of forward magazines and an early opening of the campaign season. Major supply and ammunition depot magazines were set up for the British by General Ligonier at Ghent, Oudenarde and Tournai, while the Dutch general, Vander – Duyn, placed theirs at Mons, Charleroi and Tournai. The Duke of Cumberland – the nominal commander-in-chief of the allied force – arrived at The Hague on 18 April 1745; two days later he arrived at Brussels where the Allied army was to concentrate. Here he met Königsegg, Waldeck, and General de Wendt, commander of the Hanoverian contingent who had orders to fight in close coordination with the British. According to a "State of the Allied Troops", sent home by Cumberland, the allied army's effective strength was less than 43,000 consisting of 30,550 infantry and 12,000 cavalry. However, this number was growing and reinforcements would eventually bring his army up to 53,000, and for a brief time an irrepressible optimism pervaded the allied councils of war. The youthful Cumberland had designs on a campaign that would culminate in Paris, but the more experienced Ligonier – Cumberland's mentor and commander of the British infantry – warned that France's numerical advantage meant the allies must "by their situation, be masters of besieging wherever they please". And so the allies fell back on a defensive strategy while awaiting clear evidence of Saxe's intentions. The French opened their trenches around Tournai on 30 April, exactly in accordance with the memorial presented by Saxe to Versailles in December 1744. Saxe entrusted the investment to Löwendahl, while he himself turned his attention towards the gathering Allied army. The true intentions of the French were not discovered by the allies until 28 April. "After a good deal of variety and contradiction," wrote Cumberland's secretary, "our advices for two or three days past agree that the enemy's army is before Toumai". Due to indecision the allies had not begun their march until 30 April, reaching Soignies on 2 May where they were detained due to bad weather. On 5 May the allies reached Cambron. Here, a reserve corps was formed under the Hanoverian general, Moltke, and detached towards Leuze where 50 French squadrons under Du Chayla were stationed as a corps of observation. Du Chayla at once withdrew in the direction of Tournai, but he had achieved his objective: he had satisfied himself as to which road the allies would approach. Siege of Tournai by Louis XV of 30 April to 22 May 1745 by Louis Nicolas van Blarenberghe. Taking Tournai was the first step in Saxe's campaign. The fortress fell shortly after the Battle of Fontenoy. During a hasty reconnoitre late on 9 May, Cumberland, Königsegg, and Waldeck found the French fortifying the hamlet of Fontenoy; they also discovered the enemy's pickets at the villages of Vezon and Bourgeon. These outposts were dealt with on the following day: on the right the British under General Campbell moved to take Vezon, where Cumberland subsequently moved his headquarters; while the Dutch on the left possessed themselves of Bourgeon. The allied forward units now held the Peronne–Bourgeon–Vezon line. After another reconnoitre the allied commanders resolved to defer the battle until the morning of the 11th, but all agreed that the French position – the barrier between themselves and Tournai – must be attacked. The allied army consisted of some 53,000 men in 52 battalions and 85 squadrons of which 22.000 were Dutch, 21,000 were British, 8,000 Hanoverian and 2,000 Austrians. They had 80 to 105 cannons. The French army had some 48,000 men 32,000 infantry in 55 battalions and 14,000 cavalry in 101 squadrons and 90 to 110 cannons at least 86 of which were small four-pounder battalion guns. In contrast, the Pragmatic Army contained some of the better trained and disciplined troops of Europe in the British and Hanoverian contingents but did not have a great captain to command them. The young, 26-year-old, Cumberland owed his position to his high rank and he had no prior experience commanding an army. He would win only one battle in his career with a very small army, Culloden, and he is described by historian Armstrong Starkey as "a very good brigadier." The position which Saxe had chosen to make his defence was naturally strong: the right of his army rested on Antoing, the centre on Fontenoy, and the left was covered by the Wood of Barry. This defensive line rested on the edge of a crest of high ground. Here lay the strength and advantage of Saxe's choice: the descent in many places along the position formed a natural glacis, and throughout the whole length, from Antoing to the wood, the prolonged slope offered an even and deadly field for cannon and musketry fire. This position was further strengthened by the construction of redoubts. Two were built along the Fontenoy-Barry gap, defended by two regiments of the Brigade of Eu, and each supplied with four cannons – the first breastwork (nearest Fontenoy), known as the Redoubt of Eu, played a central part in the battle. In the rear of these works and extending northeast to the village of Ramcroix stood the French left wing, including the six battalions of the Irish Brigade. Between Fontenoy and the larger village of Antoing on the French right a further three redoubts were built along the ridge-line. These defences were manned and supported by the regiments of Crillon, Bettens, Diesbach, and Biron, and three dismounted dragoon regiments. Antoing itself was defended by seven battalions, including four veteran battalions of Piedmont, and six guns. Additionally, six 12-pounders were mounted on the far side of the Scheldt facing Antoing, targeting the left flank of any force attacking in that quarter. At 2:00am on 11 May, the allied regiments took up their stations. The British were posted on the right wing with the Hanoverians to their immediate left, while the Dutch took the left wing, supported by the small Austrian contingent made up mainly of mounted troops. A large battery of allied guns, some 40 to 50 according to French accounts, began to bombard the French positions at long range. The allied bombardment was to little effect however, as most of the French were in the woods, in redoubts, behind the swell of ground leading to their position, or fortified in Fontenoy. Accounts from both sides speak to the three-hour duration and intensity of the other's fire. Cumberland's reconnaissance on the evening of the 10th had failed to detect the Redoubt of Eu near the woods, but during the night information had been brought to him of its whereabouts. The strength of the French left was only now appreciated, and the position became a matter of the greatest importance. The task of neutralising the strong-point was given to Ingolsby, for which he was given command of Duroure's (12th), Pulteney's (13th), the Highland Regiment (43rd), and Böschlanger's Hanoverian regiment. While this attack went in on the right, the Dutch and the Austrians with the Hanoverians in the centre would strike to Cumberland's left in all-out assaults on Fontenoy and Antoing. Once the flanks were under heavy attack, the massed body of the British infantry could storm the Fontenoy–Barry gap and dislodge the main French army. Ingolsby had explicit orders from the Duke to capture the Redoubt of Eu, and either spike the guns or turn them on the enemy. 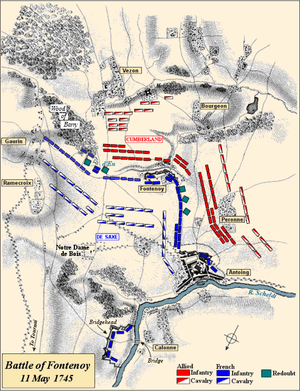 At around 6:00am Ingolsby moved his brigade forward, but he halted in a 'hollow way' a short distance from the wood. Here he remained, telling Lord Bury (one of Cumberland's six aides-de-camp), "that he saw troops in the wood, that he did not know the number of them, and had consulted with his officers, who were of opinion it was impracticable." These 'troops in the wood' were the Grassins, a combination of light infantry and light cavalry who tenaciously defended the position against the allied attack. Ingolsby continued to falter and hesitate. He asked for cannon before he advanced and was immediately sent three 6-pounders but he still made no attack. At last Cumberland himself confronted the Brigadier, but by this time the British infantry were drawing up on the plain beyond Vezon in readiness for the main attack, while to their left the Dutch were preparing to advance on Fontenoy and the redoubts between that village and Antoing. With French cannon taking a heavy toll on these dense formations it was clear that the opportunity for Ingolsby's attack had slipped by, and the Duke simply ordered him to move his brigade forward in line with the main British formation under Ligonier. Cumberland had decided to ignore the danger on his right flank. To compound his troubles General Campbell, commander of the British cavalry, had earlier been mortally wounded while screening the infantry advance onto the plain, and had been carried from the field without having revealed his orders to any other officer. With no one knowing what to do, the cavalry simply formed to the rear of the infantry where they remained until the battle was virtually decided. Ligonier finally sent word to Cumberland that he was ready to advance as soon as the Dutch carried out their attack on Fontenoy. The night of the 10th had seen the left wing of the allies more advanced towards the enemy than the right. Prince Waldeck was thus able to complete his dispositions for battle in the morning more rapidly than Ligonier. The Dutch line, from left to right, was formed of: 36 squadrons of cavalry, next eight infantry battalions, then four squadrons and finally, facing Fontenoy, 12 battalions in two lines. However, Waldeck also had not sufficiently reconnoitred his objectives, and was unaware of the strength of the enemy position in the village. The Dutch advanced, moving up three batteries of artillery to support their attack. The French infantry, secure behind their barriers, allowed the Dutch to draw very close before releasing a devastating volley upon them. Those Dutchmen who were not killed, fled. Meanwhile, a second column, with cavalry in its rear, advanced on Antoing. Encountering a terrible fire from the three redoubts and the battery on the far side of the Scheldt, the Dutch in this sector also wavered. Their cavalry turned about; but while the bulk of them halted within cannon-shot, a minority of them fled. Colonel Appius took flight with his regiment all the way back to Ath. It was now around 10:30pm, and the British and Hanoverian infantry stood ready to march forward. However, both flank attacks – Inglosby on the right and the Dutch on the left – had failed. With Fontenoy and the Redoubt of Eu still in French hands Cumberland and Königsegg had to decide whether to move forward or retreat and wait for a more propitious opportunity. Cumberland chose to attack. Moreover, he personally chose to lead the column in what was to become one of the great infantry advances of the eighteenth century. The British and the Hanoverians were deployed in two lines. The first British line, from right to left, was composed of three brigades: first, on the right, the Guards Brigade composed of the 1st, 3rd and 2nd foot guards; second, Ponsonby's brigade of the Royal Scots (1st Foot), Scots Fusiliers (21st Foot), Handaside's (31st Foot); third, Onslow's brigade of Onslow's's (8th Foot), Rothe's/Sempill's (25th Foot), Johnson's (33rd Foot) and Howard's (19th Foot). The second British line was three brigades, from right to left: first Howard's brigade with Howard's 'Buffs' (3rd Foot) on the right, the Welsh Fusiliers (23rd) Foot and Skelton's (32nd Foot); second, Bland's brigade of Sowle's (11th Foot) and Bragg's (28th Foot); and third Skelton's brigade of Cholmondeley's (34th Foot) and Bligh's (20th Foot). 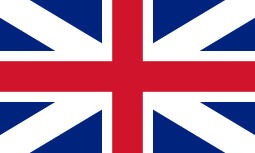 The Hanoverian regiments were on the left of the British lines. As the second Dutch attack on Fontenoy went in, the main allied formation moved towards the French position on the plateau. Cumberland took up his place alongside Ligonier at the head of 20 battalions, 15 British and 5 Hanoverian to their left, led by the British Guards Brigade, each with their two battalion guns, about 13,000 to 15,000 men, drawn up in two disciplined lines, each six ranks deep. However, the narrowness of the defile through which the attack had to pass forced the Hanoverians back to form a third line behind the British. As the British and Hanoverians advanced the French pushed forward the four small three-pounder battalion guns of the Gardes Françaises Brigade and the four of Aubeterre Brigade, the fire from these was added to the bombardment from the Redoubt d'Eu. Cumberland responded by deploying seven of the Guards Brigade's three-pounder battalion guns to push them back. The Duc de Gramont, of Dettingen infamy, was killed by a shot from these. As the column advanced up a slight rise, the British brought up a battery of twelve six-pounder cannons to the front of the column at such close range that the Gardes Françaises left their supported defensive position against orders, as they had at Dettingen, and advanced, unsupported, in an attempt to take the guns. Both sides exchanged fire at close range. From the Redoubt of d'Eu and Fontenoy the French cannon poured tremendous flanking fire. Whole allied ranks were swept away, but still they pressed forward in perfect order as if on parade, the better to foster cohesion and the better to overawe their opponents. Saxe had never believed that the allies would conceive or execute such a manoeuvre, and here was the one weak spot of his defence – a third redoubt between Fontenoy and the Redoubt of Eu would have rendered the allied advance impossible. On obtaining the summit of the ridge the allied column found itself facing the French infantry line. The French guards rose and advanced towards the crest, whereupon the two forces confronted each other at a distance of 30 paces. The moment was immortalised by Lord Charles Hay of the 1st Regiment of Guards who later wrote that he stepped forward, took out a hip flask and drank with a flourish, shouting out to his opponent, "We are the English Guards, and we hope you will stand till we come up to you, and not swim the Scheldt as you did the Main at Dettingen." He then led his men in three cheers. Voltaire's version of this famous episode has become proverbial. He wrote: "The English officers saluted the French by doffing their hats . . . the French, returned the greeting. My Lord Charles Hai, captain in the English Guards, cried, 'Gentlemen of the French Guards, fire .' The Comte d'Auteroche, then lieutenant of Grenadiers, shouted, ' Gentlemen, we never fire first ; fire yourselves." The French were the first to fire, the volley was somewhat ineffective but threw the Third Guards into some confusion and wounded George Churchill, the commander of the guards brigade. Captain Lord Panmure led the unbroken companies of the Third Guards to the flank of the First Guards. Up to this point the British column had not fired a single musket shot, but now the allied infantry poured a devastating discharge into the French. The volley of musketry with the battalion guns delivering numerous rounds of grape-shot, swept away the front rank of the ten battalions of the French first line, killing and wounding between 700–800 men, breaking the Gardes Françaises, while the Gardes Suisses and the four battalions of the Brigade Aubeterre were driven back by the British advance. Historian David Chandler writes that upon the order "first firing, take care", in the British platoon firing system, the six platoons of the first firing with the whole of the front rank of each British battalion fired together – explaining the efficacy of the British first volley. Additionally, Chandler describes the advance as also a British development of the platoon firing system in which troops mounting an attack continue to advance to give fire by stepping out ahead of the rest of the marching battalion, when they are done and reloading the other platoons advance ahead of them and give fire in turn. This explains the slow advance of the column noted in many first hand accounts. The French now faced an unexpected crisis. Although the allied attack on Fontenoy had failed, the commander of the second line of the French centre had dispatched much of this line to support the brigade in Fontenoy so there was now no support infantry line behind the part of the line formerly held by the Gardes Françaises and the British Guards advanced deep into this gap. 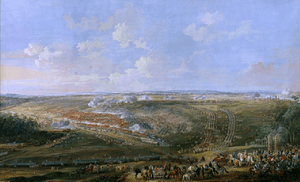 The Battle of Fontenoy, 11 May 1745 by Louis Nicolas van Blarenberghe. Left: Wood of Barry and Redoubt of Eu, with left of centre the red lines of the Irish Brigade leading the attack on the British right flank. Right: two lines of French cavalry. Centre: British redcoats push onto the plateau. Foreground: Louis XV observing from near the chapel of Notre Dame de Bois. (See map). Saxe was still seriously ill on the day of the battle and had spent the early part of the engagement in his wicker carriage. By the time of the British-Hanoverian advance, however, he had mounted his horse and, despite great pain, directed French actions personally. Saxe now ordered his cavalry to attack the advancing foe, but they too recoiled, broken by shattering fire. From his vantage point near Notre Dame de Bois, Louis XV, attended by the Dauphin, Noailles, the Duke of Richelieu, and Louis XV's minister of war, the Marquis d'Argenson, had witnessed his best infantry fall back in disorder. Convinced it was over, Noailles had implored the King to seek safety; but Saxe reassured him that the battle was not lost. With his defiant oath that "We must all conquer or die together", the French commander rode off to restore order at the front. The King stayed. The hollow "square" had again progressed several hundred yards beyond the flanking batteries, but Cumberland had become increasingly isolated in the centre with his shrinking mass of British and Hanoverian infantry. The allies grew indecisive. Löwendahl saw the true state of affairs, and galloped off to meet with Saxe. "Well, monsieur le maréchal, here is a great day for his Majesty. These fellows will never get themselves out of a fix like that." After a council with Louis XV it was resolved to unite all available forces, and at around 2:00pm, Saxe made a final concerted effort to repulse the enemy. Four pieces of reserve artillery, loaded with grape-shot, were brought into action, and every available regiment mustered. Saxe rallied six Irish battalions of the "Wild Geese" supported by the remnants of Vaisseaux and Normandie for a final assault and flung themselves into the attack with the wild Gaelic cry of "Cuimhnigidh ar Luimnech agus feall na Sassonach!" – "Remember Limerick and Saxon Perfidy". The Irish Brigade, as a brigade, would suffer the heaviest overall casualties on the French side, losing 656 men including one-quarter of their officers. Sergeant Wheelock of Bulkeley captured a colour and the attack of the Irish compelled the British Guards to retire. A simultaneous attack on the allied left was made by all the regiments which had faced the Dutch between Fontenoy and Antoing. Meanwhile, the French Guards, now led by the Comte de Chabannes, eager for revenge, with fixed bayonets charged the front so closely that fire was exchanged muzzle to muzzle. As Saxe and Löwendahl led the infantry, D'Estrées, and Richelieu brought up the whole Household Cavalry. The fighting was extremely close and deadly, some British regiments lost half their strength such as the Royal Welch Fusiliers which lost 322 soldiers, over 200 killed, while the brigade of British Guards suffered over 700 casualties. The French counter-attacks eventually halted and then repelled the British column, taking the field. The initial disorder of the allied column was soon checked as each battalion rallied around its colours; the compact formation was restored, and the British and Hanoverians accomplished their retreat in good order. Attacked from three sides the allies performed a fighting withdrawal – the rearguard of the column facing about at measured intervals to fire at their pursuers. Ligonier made provisions for covering the retreat. Skelton's (32nd) and Cholmondeley's (34th) formed the rearguard, the Buffs were ordered to hold the churchyard, while hedges and ravines were lined with the Black Watch. On either flank the British cavalry closed in to form a screen for the infantry – the Royal Horse Guards to the fore especially distinguished themselves. The army reformed behind Vezon, before retreating on Ath. Upon reaching the safety of Ath, Cumberland burst into tears over his disappointment at the defeat and the huge number of lives the defeat cost. Saxe was blamed by the "carpet generals" for halting the pursuit 100 yards from the battlefield and not turning the defeat of the allies into a rout. But the enemy were not, even now, lacking in discipline or morale, and the allied cavalry were at last admirably handled. He later explained that while the allied cavalry were still relatively intact, his own had been decimated. Afterwards he gave his reason for not pursuing the allies further – "As we had enough of it, I thought only of restoring order of the troops engaged in the charge.". As Louis XV rode over to congratulate his commander for avenging Poitiers, Saxe's personal guard helped their ailing Marshal onto his horse to meet and embrace his sovereign. 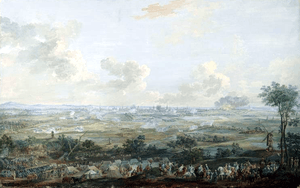 Battle of Fontenoy, 11 May 1745. Oil painting by Pierre Lenfant. Louis XV pointing at Maurice de Saxe, victor at Fontenoy. 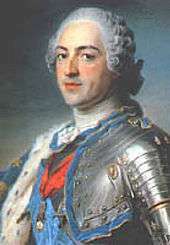 Louis XV lavished gifts on Saxe, including the royal Château de Chambord, for Saxe had been present where needed, in spite of his debilitating illness, to deal with every crisis of the battle from rallying troops, to directing and leading reserves, encouraging the King and counseling with his officers. 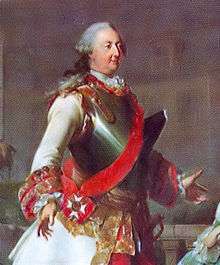 With his victory at Fontenoy, Saxe would become a great hero of Frederick the Great of Prussia, his ally, and would visit Frederick at Sanssouci in 1746. 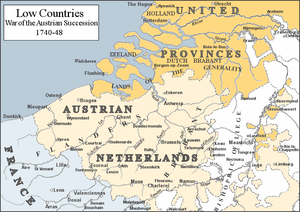 For the allies there were recriminations with the Dutch getting most of the blame in English accounts with no explanation as to why the Hanoverian advance on Fontenoy failed to occur. However, Cumberland's official report praised his co-commander, Königsegg, who, fighting between the first and second lines of infantry "was present on horseback during the whole action, and gave his orders with great calmness." Cumberland was universally praised for his bravery, but also criticised for his generalship, in particular for neglecting to clear the Woods of Barry at the beginning of the battle or to establish an adequate intelligence system, the failure of which gave Saxe ample time to prepare his position. He failed to make his orders clear and Ingolsby's hesitation on the allied right was in part due to receiving conflicting orders. Ingolsby was court-martialled on the charge 'That he received orders from the Duke to attack a redoubt or battery in the last action near Fontenoy, which orders he did not execute'. The charge of disobedience of orders was found proved. Ingolsby's contention that he had been harassed by inconsistent orders was amply borne out by the evidence, and he was acquitted on the charge of cowardice. The court concluded his failure arose 'from an error of judgement, and not from want of courage.' He was suspended from service and allowed to sell out. 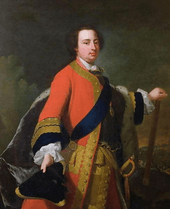 Additionally, the triumph of de Saxe over the British inspired the second Jacobite rising, the Forty-Five, under the Young Pretender, Bonnie Prince Charlie. Charles, with a small contingent of troops, returned to Scotland and invaded England. He had some reason to believe in his ultimate success as all but 8,000 British troops were away on the continent and recently defeated at Fontenoy. Charles' return to Scotland combined with a stunning victory at the Battle of Prestonpans obliged Cumberland to pull his army back to England to deal with the Jacobite invasion. The British government was greatly concerned with developments in Flanders but the military tide had turned in France's favour. Dendermonde and the vital port of Ostend, where a battalion of British Foot Guards and a garrison of 4,000 fell to French forces in August, and Nieuport in early September. The only good news for the British came in North America when William Pepperrell captured the key French fortress of Louisbourg at Cape Breton in late June. Historian Reed Browning described the effect of the French victory at Fontenoy thus: "The margin of victory had been narrow; the fruits thereof were nevertheless abundant." Napoleon I later declared that the victory at Fontenoy prolonged the Ancien Régime monarchy in France by 30 years. Doctor Livesey, a character in Robert Louis Stevenson's Treasure Island, is mentioned as having been in the Battle of Fontenoy some years before the book's plot takes place, and there are several references to his having been there throughout the book. 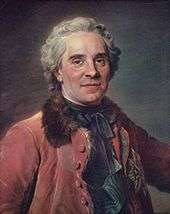 Jacques, the title character of Denis Diderot's Jacques the Fatalist, is said to have been severely wounded in the knee while serving in the French army at the Battle of Fontenoy. His recovery from that wound led him to meet the woman he loves, a story he attempts to tell his master throughout the book, only to be constantly interrupted. The Battle of Fontenoy makes an appearance in the 2009 videogame Empire: Total War as a playable scenario. The Battle of Fontenoy is central to the plotline of Liam Mac Cóil's prizewinning Irish novel Fontenoy (Leabhar Breac, 2005). 1 2 This article uses the Gregorian calendar (unless otherwise stated). See the article Old Style and New Style dates for a more detailed explanation of the dating issues and conventions. 1 2 Browning: Austrian Succession, 212, 392 Browning states both Colin and Chandler give the allies the larger force. Strengths differ depending on source. Weigley (p.204) and Black (p.66) put the Allies strength at 46,000 (about half of whom were Dutch; the other half mostly British and Hanoverian) without any attribution. Townshend, Sir Charles Vere Ferrers. The military life of Field-Marshal George first marquess Townshend, London, 1901, pp. 51–52, gives the British as 21,000. Other sources, Rolt, p. 190, Townsend, pp. 51–52, Colin put the figure of around 52,000–53,000. Duncan, Francis. History of the Royal Regiment of Artillery, London, 1879, Vol.1, p. 127, "The strength of the allies did not exceed 53,000". ↑ Browning: Austrian Succession, 206; Skrine: Fontenoy, 137. This equated to 160 squadrons, and about 100 battalions. The number of battalions vary depending on source. ↑ Townshend, pp. 51–52. Rolt, p.190. Colin, p. 373. ↑ The Irish Brigade comprised the Clare, Ruth, Lally, Berwick, Dillon, Bulkeley regiments, totalling 3,870 men. 1 2 Charteris: Duke of Cumberland, 181. ↑ Chandler: A Guide, 19; Skrine: Fontenoy, 173; Weigley: The Age of Battles, 206. The first British volley is said to have struck 50 officers and 760 men. French official returns shown in Colin's Piéces Justificatives and Broglie give the ten battalions in the French first line, a total loss over the course of the battle as 1266: 375 officers and men killed and 891 wounded with the single battalion of the Regiment Aubeterre suffering the highest loss, some 328 killed and wounded compared to the 411 overall losses for the four battalions of the Gardes Françaises. Colin,PJ, pp. 380–397. ↑ Simonde de Sismond, J. C. L.. Histoire des français. XXVIII. 1726–1750, Paris, 1821–1844. ↑ Black: Britain as a Military Power, p. 67. ↑ McGarry, Stephen. Irish Brigades Abroad, p. 99. Boyle P. The Irish Brigade at Fontenoy from The Irish Ecclesiastical Record, Vol. XVII, 1905, Dublin, p. 442, infantry totals, officers and men of the six regiments, less Fitz James' cavalry, are 656 drawn from French records of Ministère de la Guerre, also seen in Colin. The four battalions of Brigade Aubeterre show 629 casualties in official reports reproduced in Colin. ↑ O'Callaghan, John Cornelius. History of the Irish Brigades in the Service of France, London, 1870, p.359, p.366 refers to two colours captured. Grimoards – Letters and submissions chosen from the original papers of Marshal Saxe – p.165, "The Irish took a flag". Richelieu, Memoires, p. 136: "Les Irlandois prirent un drapreau." ↑ This flag may not have been from the Coldstream Guards as was thought, but from Sempill's Regiment of Foot (the forerunner of the King's Own Scottish Borderers) according to a new book from Stephen McGarry entitled Irish Brigades Abroad. McGarry, Stephen. Irish Brigades Abroad, p. 94, 98. ↑ Estimates of allied losses vary. Smollett, Tobias. History of England, from The Revolution to Death of George the Second, p.472, gives 12,000 allied. Chandler states 12,000.The Journal of the Battle of Fontenoy Published by Order of His Most Christian Majesty Translated from the French Published LONDON MDCCXLV, Published: M. Cooper: London, 1745; "... killed, wounded, prisoners and deserters fifteen thousand ...cannon ... forty nine". Voltaire gives 21,000 Allied losses. Boyle, P. (1905). The Irish Brigade at Fontenoy. The Irish Ecclesiastical Record. vol. XVII. Dublin. p. 442. Chandler, David G (1998). Christopher Duffy, ed. A Guide to the Battlefields of Europe. Wordsworth Editions Limited. ISBN 1-85326-694-9. Chandler, David G. (1995). The Art of Warfare in the Age of Marlborough. New York. ISBN 1-885119-14-3. Chandler, David G. (1990). The Art of Warfare in the Age of Marlborough. Spellmount Limited. ISBN 0-946771-42-1. Colin, Jean Lambert Alphonse (1901–1906). "Fontenoy in Piéces Justificatives Revue d'histoire rédigée à l'État-major de l'armée, Section historique". Les Campagnes du Maréchal de Saxe. Volumes 1–3: Vol. 3. Paris: R. Chapelot. pp. 500 pages. Duncan, Francis (1879). History of the Royal Regiment of Artillery. Vol.1. London. Fortescue, J. W. (1899). A History of the British Army. Vol. II. London: Macmillan. Grimoard, Philippe-Henri (1794). Lettres et mémoires choisis parmi les papiers originaux du maréchal de Saxe, : et relatifs aux événements auxquels il a eu part, ou qui se sont passés depuis 1733 jusqu'en 1750, notamment aux campagnes de Flandre de 1744 à 1748. Paris. Hamilton, Lieutenant-General F.W. (1874). Origin and History of the First or Grenadier Guards. Vol. II. London. McGarry, Stephen (2014). Irish Brigades Abroad: From the Wild Geese to the Napoleonic Wars. The History Press. ISBN 1-845887-999. Mackinnon, Daniel (1883). Origin and services of the Coldstream Guards. Vol.I. London. O'Callaghan, John Cornelius (1870). History of the Irish Brigades in the Service of France. London. Pichat, Henry (1909). La Campagne du Maréchal de Saxe dans les Flandres. Paris. Skrine, Francis Henry (1906). Fontenoy and Great Britain's Share in the War of the Austrian Succession 1741–48. London. Smollett, Tobias (1848). History of England, from The Revolution to the Death of George the Second. vol.II. London. Starkey, Armstrong (2003). War in the Age of Enlightenment 1700–1789. Praeger Publishers. ISBN 0-275-97240-2. Townshend, Sir Charles Vere Ferrers (1901). The military life of Field-Marshal George first marquess Townshend. London. Tsouras, Peter G. (2005). The Book of Military Quotations. Zenith Press. ISBN 0-760-32340-2. White, Jon Manchip (1962). Marshal of France, The Life and Times of Maurice de Saxe. Rand McNally & Co.